2012 is thought to be the year of the Ultrabook, but though these slim machines may prove successful they can’t disguise one odd fact: The laptop is a dead design. When will it actually pass away and leave room for a future device? Intel has been pushing a reference design on Eastern manufacturers for months now, and the pressure is finally paying off. Maker after maker has revealed its own take on what’s dubbed the Ultrabook. Consumers may be pleased by the focus on high design, Intel will be pleased it has a new vehicle for its processors, and manufacturers will be pleased they have a seemingly new toy to promote and sell for profit. The Wall Street Journal has even written a piece on them: “For PCs, Hope in a Slim Profile,” and they’re predicted to be everywhere at CES 2012. The thing is the Ultrabook isn’t new, nor is it revolutionary. It’s proof that the laptop is now an evolutionary dead end in computer history. A lightweight PC with long battery life, petite format, and full-featured PC functionality … that’s a rough description of an Ultrabook. Remember this, we’ll come back to it. But in essence the Ultrabook is a MacBook Air, only slightly more typically PC-like, and sporting some flavor of Microsoft Windows 7 aboard it as its OS. In the Mac versus PC war, this is perhaps the most complete example of a Mac design being cloned into a PC design paradigm–so much so that some Ultrabooks to be released are sure to attract the attention of Apple’s IP lawyers, so similar are they in shape, format, arrangement of ports and sockets, and color. Apple’s innovation was to build an all-metal chassis (which actually permits the shape to be slimmer due to its monocoque structure) around a full-powered computer that lacks an optical drive and eschews a hard drive in favor of solid state drives that are faster and more power-friendly at the expense of large capacity, and favors only a few output ports. It’s a Jon Ive special, one might say–the Air is a laptop boiled down to its simplest essence, just a keyboard, screen, trackpad, and a few ports. The Air has become one of Apple’s fastest-selling machines, with users loving its almost instant-on speed, light but strong body, and pure, attractive design. That’s what Intel is chasing, of course. The Ultrabook plan has hit a few flaws, with many early headlines suggesting makers were having difficulties meeting the Air’s $999 price point thanks to the raw cost of components and later headlines noting makers had to switch to alternative cheaper materials and forcing Intel to drop prices. But it looks like Intel’s effort will work out, and more and more ultrabooks will probably arrive in 2012. With Apple rumored to be leading the charge, bringing the Air format to a 15-inch laptop, the Ultrabook format will probably sway the design of the majority of laptops produced from 2012 onward. They will sell because they do offer significant benefits to users. But remember that description of the Ultrabook? 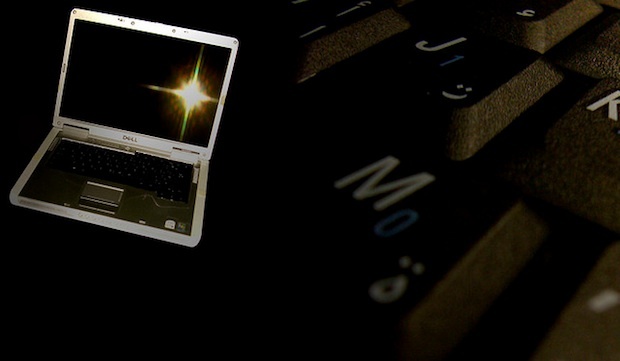 Almost to a word it fits an earlier laptop reinvention–the netbook. These cheap half-powered machines were incredibly popular a handful of years ago when the economic outlook was dim, and compared to the weighty “full” laptop, they seemed to offer a new degree of portability and extended battery life that promised new experiences to users. They sold by the millions, but then the star faded: The economy picked up, users realized they weren’t fully capable machines that could in all circumstances substitute for the full-feature laptop of which they were a pale echo, and though the netbook is still on sale it’s now merely another type of computer on sale. We are drawing the comparison between the two here–the Ultrabook is perhaps a more considered, full-featured version of the netbook. But Apple’s Air is the touchstone for what may be a laptop design evolution, but it’s not a revolution in the same way the iPhone was to the smartphone business. The Air and the Ultrabook are merely the calm, polished peak of laptop design. There’s nothing extra, there’s nothing superfluous, they offer powerful processing, speedy responses, and longer battery life than you may have expected from their tote-friendly mass. But they still need laptop staples: a keyboard, a webcam, ports, wireless powers, a quality screen, and a pointing device–in Apple’s case the simplest most innovative implementation of the trackpad, in giant size. There’s nowhere to go from here. How may one improve the Air into the Air II? It’s about as simple an edition of the laptop format–which Apple, to some extent, invented, that’s possible. By definition, the Ultrabook is the same. You may add features like a touchscreen or perhaps 3-D, a built-in pico-projector, or some other tricks, but that would be gilding the lily, and the essential format is the same. And it works–we’re all used to portable computing, and to using a keyboard and trackpad to control a windows/icons/mice/pointers user interface such as OS X or Windows 7. And yes, if it ain’t broke … don’t fix it. But it means the laptop is dead. There’s literally no place left to take it, innovatively. Makers will churn them out for several years yet, but they’ll be rewarmed editions of what we see in 2012. And when this sort of evolutionarly cul de sac is reached, it means one thing: Massive scope for an innovative new product to revolutionize portable computing for the consumer around the world. Shrewd industry observers will suggest the tablet PC is perfectly poised to slot into this niche: It has a totally new user experience, it lets consumers relate to computers in a wholly new and more intimate way, it offers new interactions that aren’t possible with the unweildy hinged format of a laptop–such as motion controlled gaming–and it’s a true go-anywhere device. If it evolves a little more past its current perceived “lightweight” computing uses, it’ll be an even stronger contender. We’re not saying laptops are going to disappear momentarily. They’re still selling incredibly well, and they will do for some time. But the Utrabook isn’t the silver bullet to securing their future–they’re instead almost like a well-polished, perfectly refined full stop at the end of the design description of the device. Something better will soon hove into view, and we’ll love using it. That’s why the portable computing game is so hot, why there’s so much scope for innovation and that’s why the immediate future is so exciting.